This is the beginning of the email message I received from Baby Rachel’s mom, Allison, just a few weeks ago. I couldn’t wait to get to this session to hear the details of this story! At the consult for this family’s newborn session I learned that their first child was born two weeks before her due date. Expecting a repeat situation they booked the newborn session with plenty of time to spare. The day before her due date Baby Rachel had other plans. Allison awoke just before 4 a.m. not feeling well. She went to the bathroom and started having contractions. She yelled from the bathroom to wake her husband, Joe. Just a few short minutes later the paramedics were at the house, where Joe greeted them and directed them to where Allison was. He was expecting a ride in the ambulance to the hospital where their baby would be born. Not so! Within a minute of them arriving she was delivering baby Rachel right there in their master bathroom! Joe mentioned he was quite relieved help had arrived in time as he was not prepared to catch. All birth stories are unique in their own way but an unintentional home birth is so rare! None of the crew members who assisted the delivery that day had ever come close to delivering a baby before and a few had more than 30 years of service. Their story was picked up by TMJ4. You can watch a short video here. Enjoy these images, which are just a glimpse into their sweet session. You can also see a bit of their newborn album that I’ll be delivering as soon as their four canvases come in. Stay tuned to Instagram for a glimpse at those once they arrive! Julie Collins Photography is based in Oconomowoc in beautiful Lake Country, Wisconsin. She loves capturing true emotions that come with bringing a baby into the world. 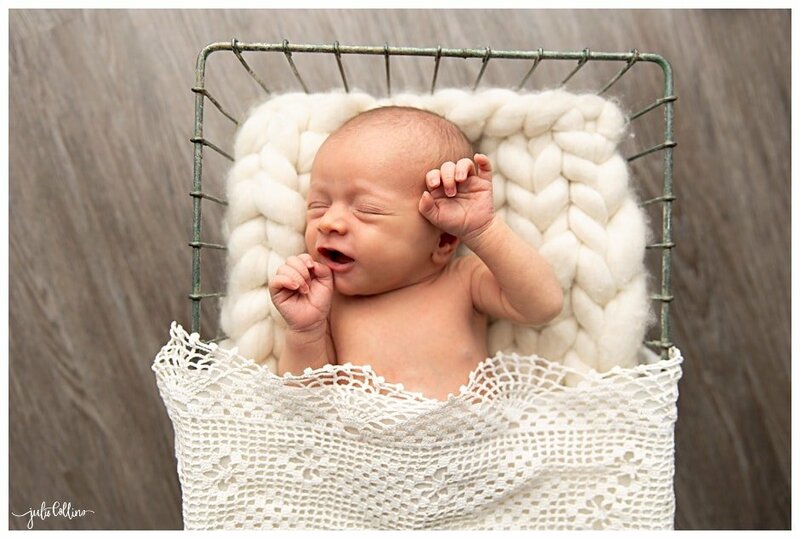 If you’re looking for an Oconomowoc newborn photographer, send her a message and to chat! 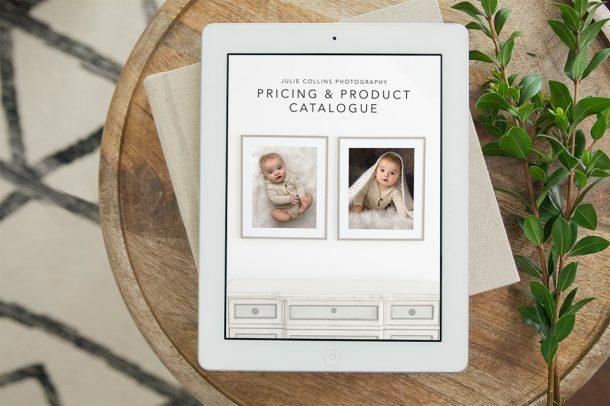 Come visit the newborn photography site to view more beautiful pictures of babies, kids and families too! Such an exciting time and sounds like lots of people there that came together to assist the baby into this world safely! Kudos to Fire Departments EMT and Paramedics The baby is just beautiful and your photo session is amazing! !